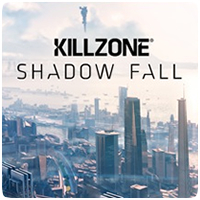 It has been revealed that Guerrilla Games’ Killzone: Shadow Fall on the PS4 will be weight in at 39.7 GB, if downloading the game from the PlayStation Network, but will be playable after an initial download of just 7.5 GB. Sony’s PlayGo system will allow the game to be played after less than 20% of the game has been downloaded. The European version of the game will be almost 40 GB in size, but other regions are likely to be lower in size. Guerrilla Games has managed to shrink the size of the game down considerably, since the game was said to be approaching the 50 GB mark. The game has been compressed considerably too, with Killzone 3 on the PS3 slightly larger at 41.5 GB on Blu-ray, due to duplicate textures and large video files in a multitude of languages. If the same approach was used with the PS4 version, the file size would be massive. The initial 7.5 GB download will include the first level of the game, while the second level downloads in the background.